September 20, 2018	12 a.m. to 11:59 p.m.
Mark Your Calendars & Help Raise $$$ for FOC on September 21! challenge organized by the Community Foundation for Southwest Washington. This 24-hour day of giving begins at 12 a.m. and ends at 11:59 p.m. on Thursday, September 20. 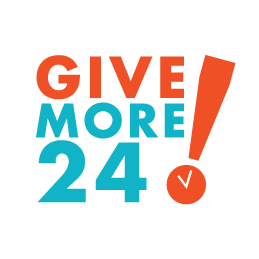 Give More 24! is a 24-hour, online fundraiser that rallies our community to raise money for more than 100 local nonprofits—all using a simple and exciting website. It’s a day when everyone who cares about southwest Washington can take action by giving what they can, wherever they are, at the same time. give something more at the same time!